It’s about making money, isn’t it? Open any FX news and views website or look at any social media site and what do you find? A new way to trade foreign exchange. 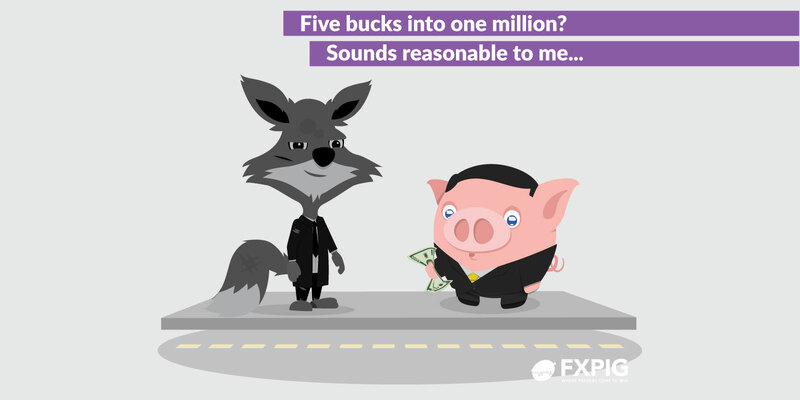 The whole business of retail foreign exchange is alive with activity but how much of that actually involves the “nuts and bolts” of making money? Every site you see has dire warnings about the statistical probability of losing money and to only trade with funds you are able to afford to lose. Then, low and behold, often right below the warning is a new way of helping you lose those funds. Traders, particularly new traders, need to get back to basics to make money. Yes, risk management is the primary necessity since if you have no funds you are “dead in the water”, but after you realize that, what’s next? For me it’s a trading style. That means trading as an extension of your personality. A guy who is “hyper” could never trade off anything longer than a one-hour chart. He needs constant involvement. A more laid-back character needs the exact opposite. Not for him the rough and tumble of scalping. Once that is out of the way; get on with it. There, that’s enough “Trading 101” get to the point! A bit of religion never hurt anyone! That quote is from the Book of Ecclesiastes. Yes, of course I had to “Google” that. Remember that when you receive your twenty-fifth email of the day extolling the virtues of this algo or that pattern recognition system. It’s all been done before but it was just called something different. Until a system is invented that can predict the Fukushima Tsunami, 911 or Sub-Prime it’s all just more of the same. Traders get into trading to trade. It’s a mentality, a personality trait. Its rarely a cold hard decision taken when reviewing investment choices. The Buffets and Soros’s of this world, view traders as the technicians facilitating their investment decisions. The nerdish impression I have given in the past of a guy sitting in his basement, his face lit by the glow of six screens all blinking out information may not be a million miles from the truth. He can use any number of methods to verify his decision, but it is his decision. He can/should/will nevergive that power away. At that point, he switches from trader to investor. So, do the new breed of asset managers in the leveraged space add anything? Not in my opinion. Well not to guys (or gals) who want to trade. It’s the buzz; gets you every time! When a trade comes to fruition and a traders’ interpretation of price action (or whatever other method he uses) is proven right, it is a huge high. Yes, of course every trade winning or losing should be treated as just one more step on the road but it is impossible not to feel elated (or deflated) by the result of a position. Of course, we beat ourselves up when a trade goes awry often spending hours analysing how we could have done better. Emotion is a useful weapon provided we can control it and respect the market. Don’t we all remember our first successful grade? Let’s just hope it wasn’t following a run of ten losers. Mine as in the Canadian Dollar and, naturally, was the result of a piece of fundamental analysis I did. It wasn’t even my money, my employer reaped the benefit but I felt vindicated and that vindication was what got me started on a very long journey. So, as I sit in my dark basement face lit by just one laptop screen what I am trying to say is that traders aren’t investors. If your grandmother left you a nest egg, invest it don’t trade with it, well certainly not all of it! Trading is a personal journey that only works by making your own decisions based on what you understand and believe in.